This entry was posted in Deadlines, Student Activities on October 12, 2012 by Jessie Jerry. This entry was posted in Deadlines, Student Activities on October 12, 2012 by Avery McNiff. The College Book Store needs to begin the process of returning unsold textbooks to suppliers. Please purchase any books you need for the remainder of the Fall 2012 term before they become unavailable. If circumstances compel you to delay a purchase further, please let us know so we can attempt to accommodate your needs. During the week of Midterm Recess, October 15 – 19, we will be returning all unsold used textbooks. The following week, October 22 – 26, we will begin to return new textbooks for classes which use only one main text. During the week of Halloween, October 29 – Nov 2, we will start returning all remaining new textbooks. This entry was posted in Deadlines on October 12, 2012 by Georgia Best. Welcome back Class of 2013! Many of you have already identified your academic senior work projects and the potential expenses involved. 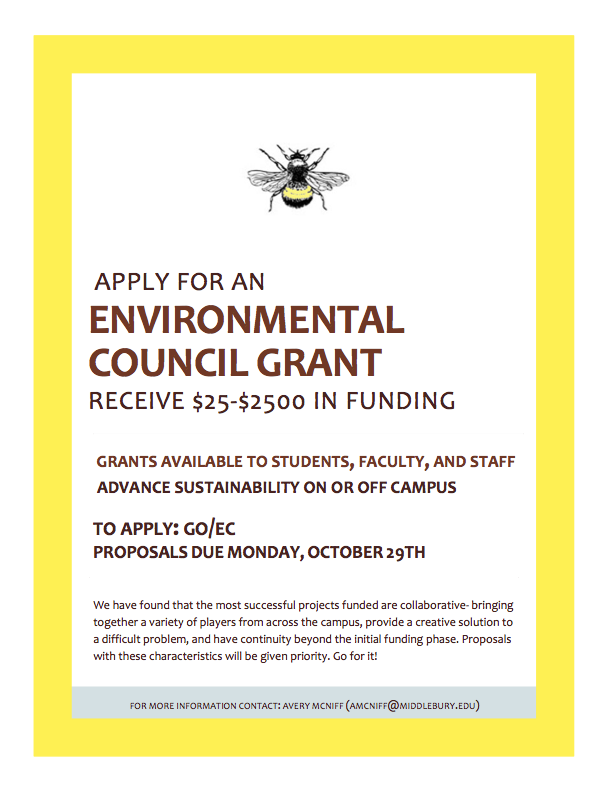 If you should need funding beyond what your department can provide, apply to the Undergraduate Research Office (URO) for the Senior Research Project Supplement (SRPS). 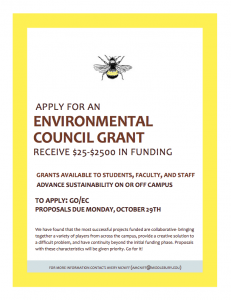 *Students with projects needing less than $350 may continue to apply throughout the academic year until funds run out. In 2011-12, the average award was $450. This entry was posted in Academic, Deadlines, Student Activities on September 14, 2012 by Colleen Norden. If you plan on shipping packages home at a discounted rate through the college, please read! Mailing Services in Freeman International Center (Old Cook Dining Hall 2nd floor) will be shipping any or all your packages daily 8:30-3:30pm through Friday, May 25th. WEIGHT: Up to 70 lbs per package. SIZE: Up to 130 inches in combined length & girth. INSURANCE: Each package is automatically insured for $100. Additional insurance is available. LIMIT: 10 Packages per person. 1. USE A CORRUGATED CARTON- Choose one in good rigid condition with all the flaps intact. 2. PACK WITH PLENTY OF CUSHIONING- To prevent the object from moving during transit. 3. CLOSE THE CARTON SECURELY- Fiber filament tape is required. *Type or clearly print the address. *Include the receiver’s full name plus the street and apartment numbers and the zip code. *If addressing to a Rural Route address, include the telephone number. *Place the address on the top of the carton only. *** USE YOUR ADDRESS HERE AT THE COLLEGE FOR THE RETURN ADDRESS. NOTE: Electronic equipment (computers, stereos, radios, speakers, games, etc.) must be in the original carton with the original styrofoam packing. Suitcases should be in a carton. Trunks need not be boxed but must be locked. Do not fill large cartons with books, as they will weigh more than 70 lbs. There are a limited number of cartons available free of charge at the Recycling Center located down the hill on Route 125. We can ship International. If you bring in your packages we can let you know what carrier would be most cost effective, (UPS, DHL or USPS). This entry was posted in Deadlines, For Students on May 9, 2012 by Steven Goodman.